How can you buy from, as well as sell to your customers? This question is counterintuitive for many businesses, yet a growing group of pioneering companies are starting to learn that when engaged in the right way, your customers can in fact be your best source of innovation, new skills and resources, as well as your most direct and effective route to market. Customer co-creation is a term which refers to when a company and a group of its customers, jointly produce a mutually value through new products and services. For instance the LEGO Ideas platform where anybody can post an suggestion for a new LEGO product, which if it attracts enough supporters, and passes a rigorous review process, becomes a reality and one per cent of the revenue is shared with the originator, and virtually all products created to date in this way sell out. The sharing economy is a sector within the 14 parts of the crowd, built around the sharing of human and physical resources including shared production, distribution, trade and consumption of goods, space, travel and services by different people and organizations. For example AirBnB has already surpassed other famous hotel chains in terms of its valuation, but its growth could soon outpace them in terms of actual guest bookings in a few years time as well. 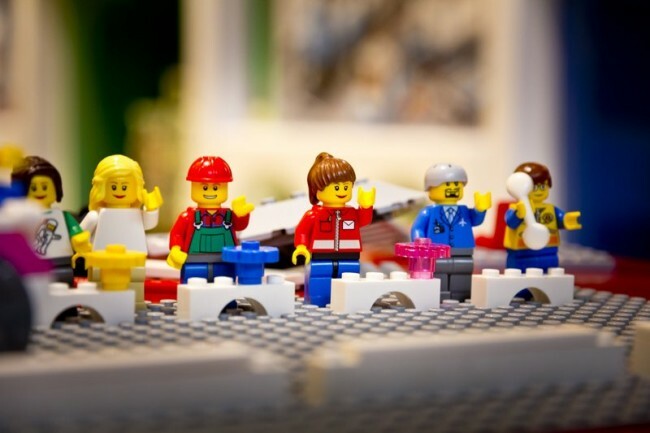 For anybody interested in emulating the success of LEGO or AirBnB and embracing the sharing economy, here are six simple steps that outline how you can co-create your business with your customers. Frame – First of all frame the ‘what’, namely a business challenge you’d like to address and then the ‘who’, namely select the audience you want to connect with. Finally consider the ‘why’, namely the purpose of your business and the reason why customers should care. Listen – Recruit a pop up community comprising of end users and designers. Or use social media and web listening techniques to create conversational stimuli to develop fresh and validated insights from their online conversation. Ideate – Share your interesting questions with your audience and engage people in conversations around them. Make sure they both important to you and your audience, and are at the same time not too broad, and not too narrow. If so these questions will inspire the community to co-create new ideas in response. The energy and interaction of the carefully selected crowd means ideas are built upon fast, generating a portfolio of innovations to choose from. Test – Using the ideas and commentary from your online community as stimulus, work with your team to develop new product or service concepts or propositions that fit with your brand and strategic objectives. Then test these early with your community to prioritise which ideas to pursue. Refine – The penultimate stage is to turn your concepts into prototypes and expose them to your community to validate, improve and prioritise via voting, ranking, and online discussion. If possible carry out quantitative and qualitative analysis to objectively evaluate which products and services you should take to market, and why. Launch – Once your new product and service is selected, use social media and your community to drive trial and evaluate people’s response. You can also interact directly with the crowd in real-time to understand more about their choices and comments they are marking enabling your to make better decisions improvements. So it’s time to turn your business inside out. By following these six simple steps described above, you will benefit in terms of brand differentiation, access to actionable insights, new propositions developed and validated, new opportunities for revenue generation and savings, not to mention a buzz created inside and outside of your business powered by an engaged community of customer advocates. In summary, only once you avoid the temptation to rip off your customers does true collaboration really begin. And at it’s best, customer co-creation shows how companies who have the courage to share both the risks and rewards of innovation with their customers, and so enabling them to test before they invest, are thriving in a globally connected economy. This blog was first posted on Virgin.com here as part of a series for and with Crowdsourcing Week.